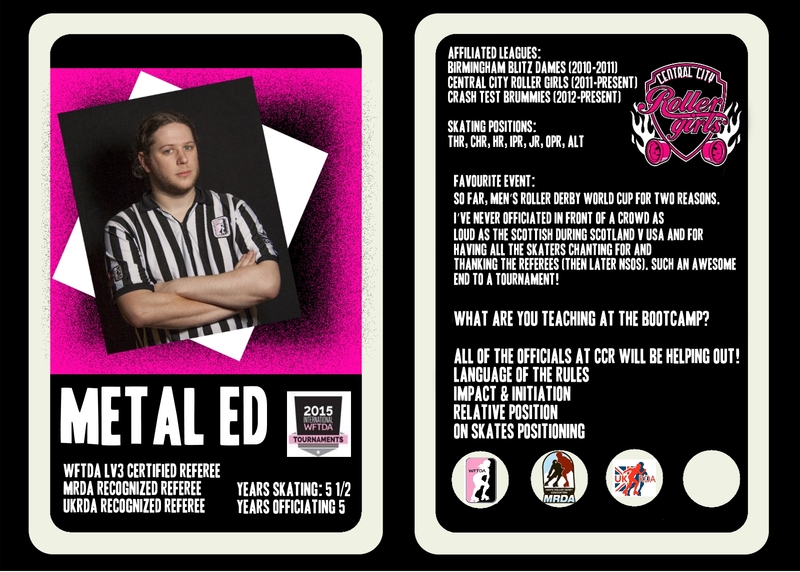 Meet the Officials Coaches – Metal Ed! We are very proud to introduce to you CCR’s and all round amazing official Metal Ed! Ed is one of the most respected and well traveled officials in Europe. 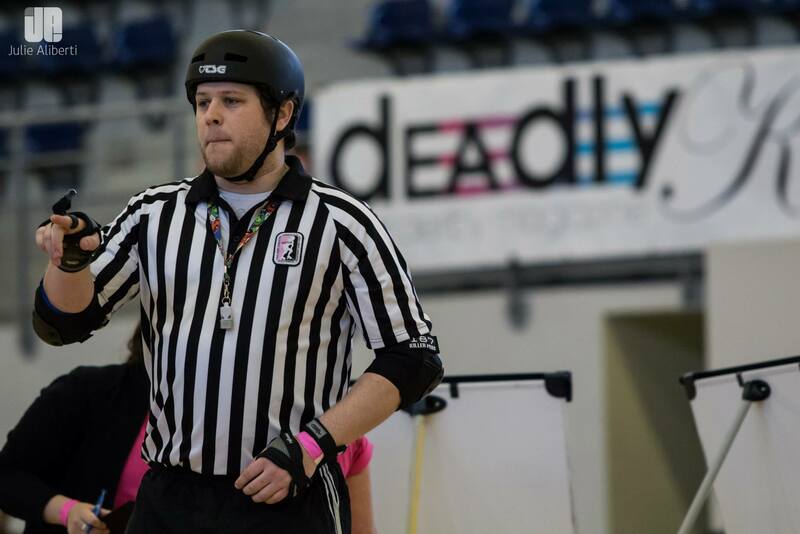 His trademark cool, focused and professional approach to reffing has seen him sky rocket from rookie ref to MRDA recognized and WFTDA L3 certified (JR,OPR) in under 5 years. Ed’s work ethic is second to none as he continues to represent his country, league and certifications at all of the worlds top events. We are also very proud to announce that Ed’s next adventure will see him officiating at WFTDA Division 1 playoffs in Jacksonville Florida this year! We’ll have a full length feature including an interview with Ed himself in a few days for you to enjoy. 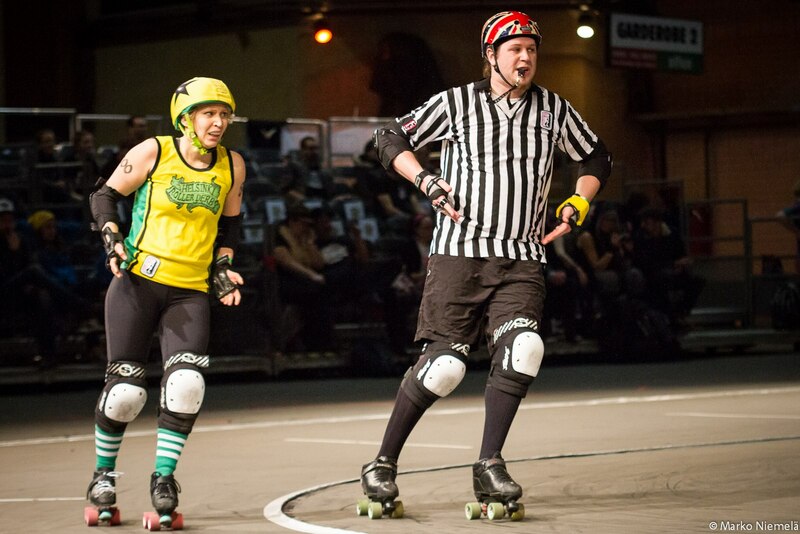 Ed’s CV spans nearly 300 games at present and has seen him officiate 55 WFTDA sanctioned games, MRDA games and tournaments, WFTDA sanctioned tournaments across the world, two world cups, three major American tournaments and every major European tournament ever hosted! 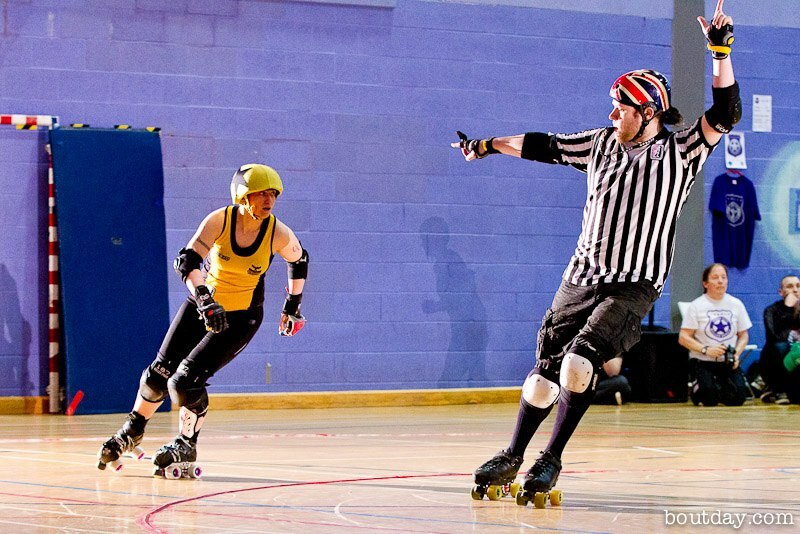 Ed has also been hand selected to run and assist at WFTDA officials bootcamps, was selected as Divisional Head Ref for the premier tier of British Champs 2015 and has been Crew Head Ref for events all over the continent. Phew! Ed loves a challenge and continues to push himself, the skaters and the crew at CCR to maintain a high level of play both on and off the track. Ed and our other ace CCR officials will be on hand to take you through the basics of good positioning, how to talk like an official as well as hosting seminars on relative position and loading up your toolbox for game day. Tickets are almost sold out so make sure you get yours before they disappear!